On August 29, 2018 Heavens gates opened, the Angels sang, Jesus held out his arms and in walked Kay! Kay Sarrett Kidd was born March 5, 1951 in the same house she passed away in, to the late Roma T. Sarrett and Ruth Cooley Sarrett. She was also preceded in death by her beloved son, Eric Lee Kidd who she has waited so long to see and is now rejoicing with and her only brother, Johnny Sarrett. Left to cherish her memory are her husband of 48 years, Jerry Kidd; a son, Shawn Kidd and his fiance, Cheri Peer of Columbus, OH; a daughter, Carrie Kidd of NC; grandchildren: Kayla and Eric Landen Kidd of Columbus, OH, Fred Corpening of NC, Triston Russell of Glen Daniel and Emilee Russell Buchholtz of CA; sister, Betty Kidd Weeks and a god son, Andrew Dickens. Kay left behind so many other family members that she loved and cherished. The Jarrells’ had also adopted her into their family: Marsha, Julie, Willa, Anita and Blain. Special caregivers, Carol England and Joyce Gunnoe. She also loved her 2 cats, Chancy and Cali. Kay was a proud 1969 MFHS graduate, a member of the MFHS Reunion Committee and the MFHS Memorial Park Committee. Her greatest love was her relationship with Jesus Christ. 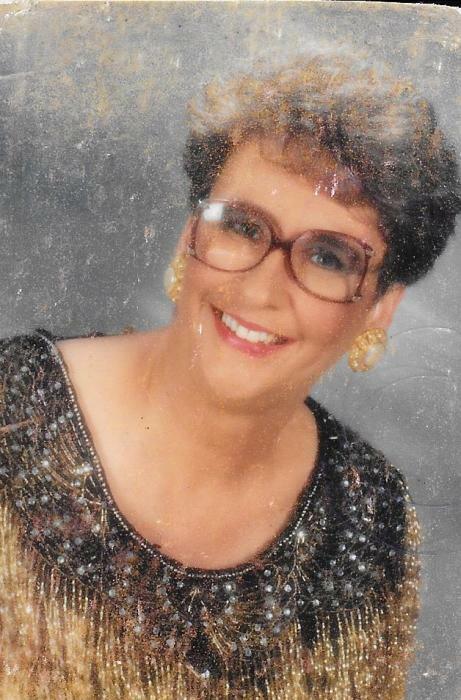 She was a faithful and loving member of Arnett Chapel, were she sang in the choir and taught a Sunday School Class. The last few months of her life she loved to sit on the porch and watch the birds and squirrells. She was a proud member of the Coal River Pickers. She loved to go to yard sales with her 2 best friends, Charlotte and Marsha. Kay never met a stranger, or forgot a name. She brought laughter and joy everywhere she went. This worlds loss is Heavens gain.